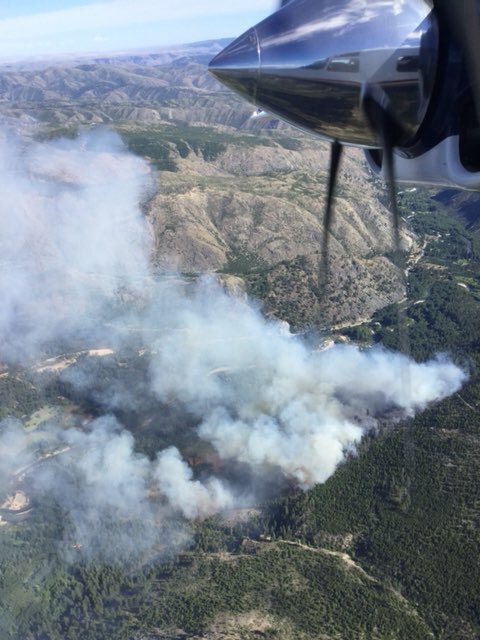 CHELAN COUNTY, Wash. – Fire assets were dispatched on July 1 (Sunday) at 1404 hours to Entiat Road at Milepost 18, burning in the Entiat Valley. Fire fuels included grass, brush, reproduction and timber. The wildfire is named the STORMY FIRE however some media outlets are calling it STORMY CREEK FIRE. Resources dispatched were SE BREWSTER, E-32, E-353, H-IMR, SE-140, SE-16E, N BREW. 2030 | Fire is located in Chelan County. 35 acres. Unknown containment status. We have reached out to WA DNR for this information. 1721 | Fire at 20+ acres. No containment status released by Officials. 1617 | 20 acres. Burning in steep and rugged terrain. 4 engines and 3 helicopters en route with 2 crews. 1525 | Fire at 10 acres. Burning near Entiat. 2 helicopters, 2 crews and 4 engines responding.